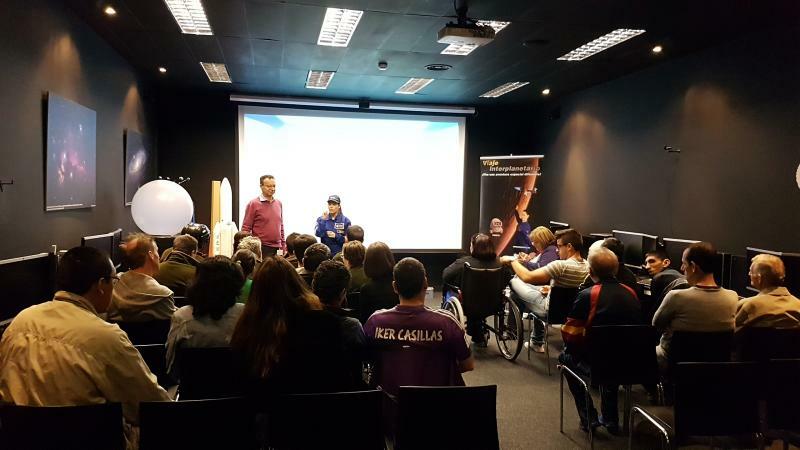 Not only schools and universities come to enjoy Space Experiences at ESAC. 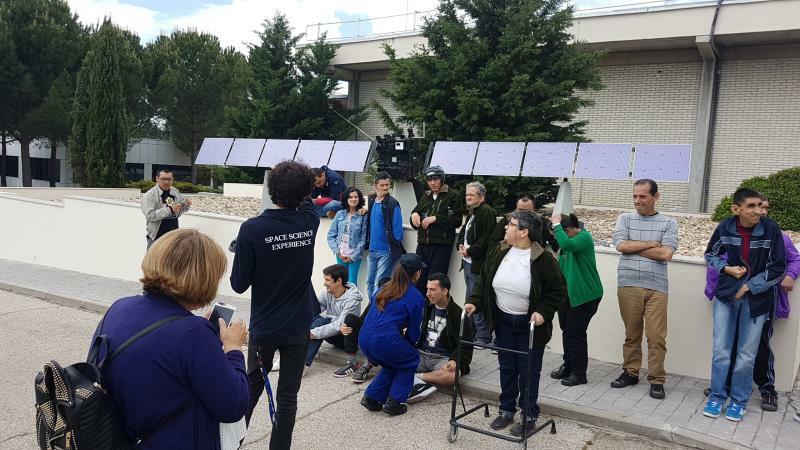 We have a strong commitment to anti-discrimination and we are always happy to guide visits to everyone willing to learn about space science and space technology. Regardless of nationality, age, or disability, it's always a pleasure to approach science to those who want to reach it. Today we have spent the morning with 26 enthusiastic developmentally disabled people from the ANDE Foundation. Michel Breitfellner, the CESAR coordinator, received them and presented the agency. They talked a bit about what is ESA and what is our job at the European Space Astronomy Centre. Then, Astronaut Lili entered the stage and revealed that we would embark on an Interplanetary Journey. After explaining a few facts about the Solar System and doing some physical training they where all ready for the interactive experience that awaited them. 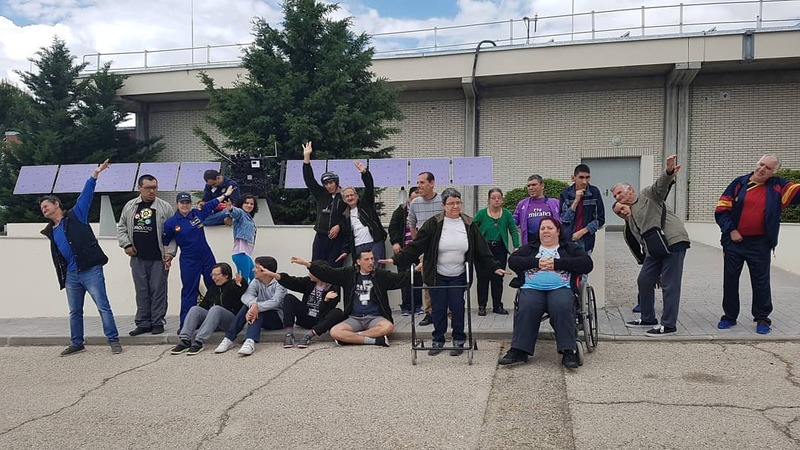 Thanks to Ciencia Sensorial and Interplanetary Travel project that takes to ESAC the multimedia material, sensory elements, 3D glasses and special effects, our voyage through the planets was as amusing as educative. They were all excited and receptive, for sure they will remember how much fun they had in our spaceship and also many of the interesting facts that they learned about the objects in our solar system. After the Space Voyage, their visit ended at the Rosetta Scale Model, where they learned about this missión and its huge accomplishment, and also to took advantage of the moment and made the awesome picture displayed at the bottom. It has been a pleasure to meet you, we hope to see you all again in the future, you will always be welcome to learn with CESAR at ESAC.